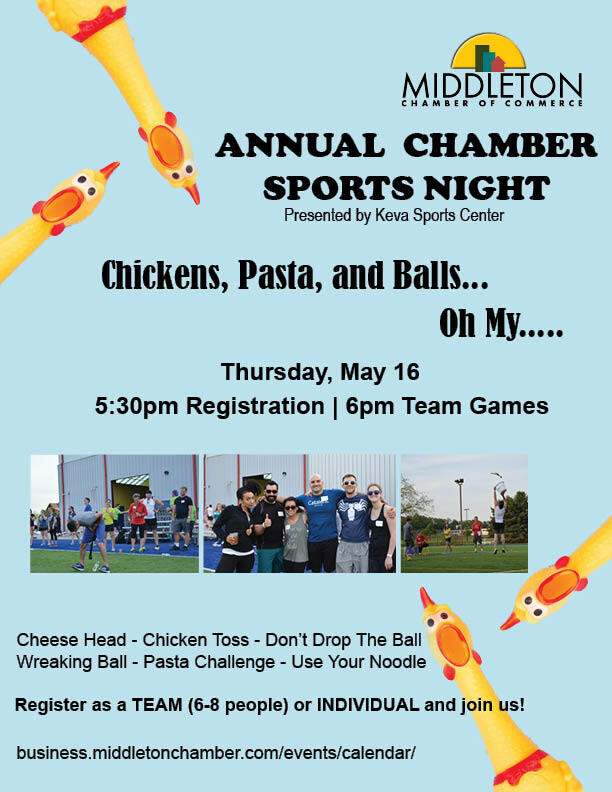 Join us for our Annual Sports Night, an evening fulof comradery and team building. Wing rubber chickens, build a pasta mountain and more ridiculously fun games! * To register a team, please put your team name in the comment section of registration.